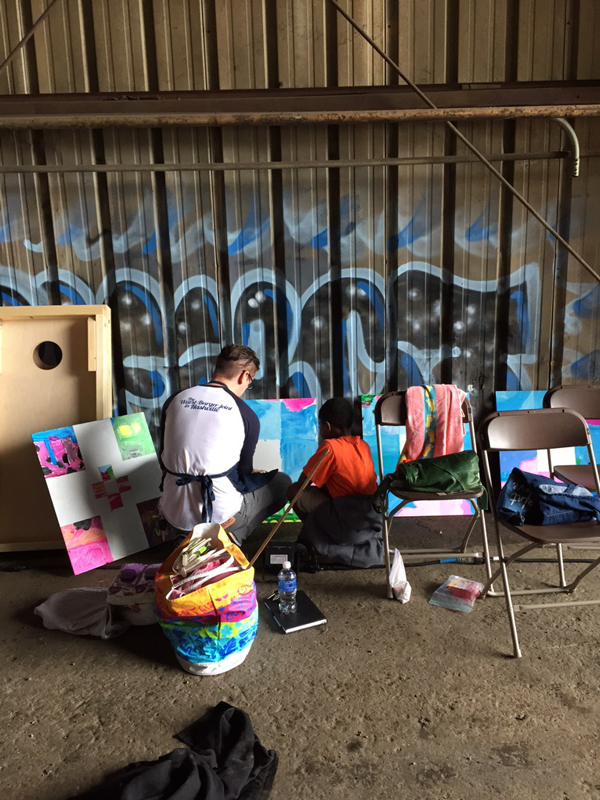 We had the opportunity to join Atlanta Contact Point in their Pullman Yard Showcase. Pullman Yard is an abandoned train yard in Kirkwood. Atlanta Contact Point’s dream is to see the space trans­formed. The aban­doned indus­trial site would make an amazing community center. Think an active nature pre­serve, with play fields and an arts complex. Sounds fun, right?! It rained the whole day! Not just a sprinkle, but heavy rain with the big drops that fall like pebbles. It created a unique atmosphere. Families would rush in and then pause in the doorway getting their bearings. Once people made it inside the building, they didn’t want to leave. The result was adults having lingering conversations. Kids running around everywhere, laughing. 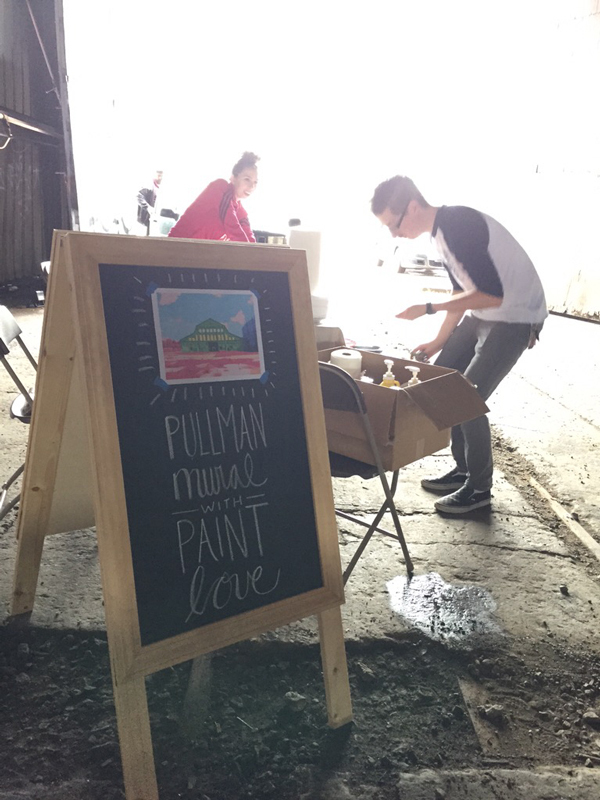 It made it feel like Pullman Yard had already been transformed into the community space it deserves to be. We set up shop near an unofficial entrance. We had good light and fresh air. We arranged our tables and chairs, and filled our water buckets. (Dustin found a few leaky spots in the roof and had our buckets filled with rain water in a matter of minutes.) Because of the wide variety of people attending, we decided to do one of our signature murals. 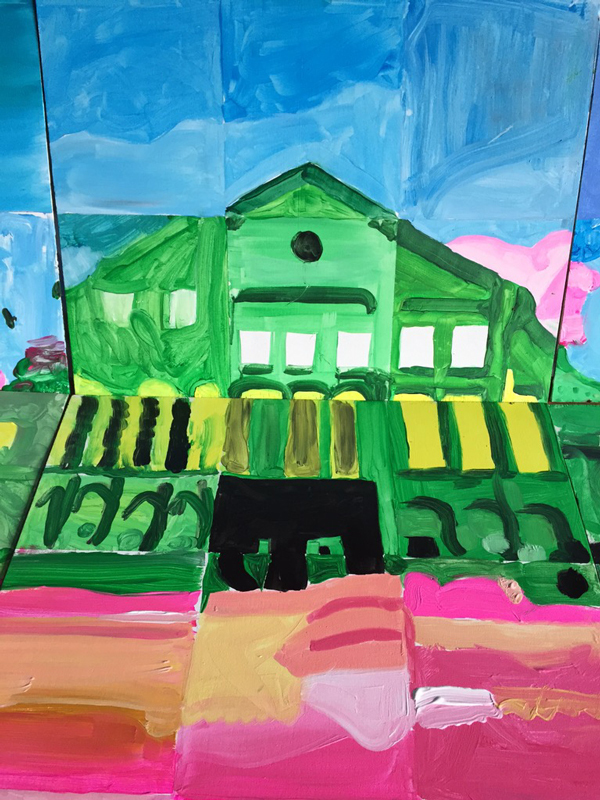 (This mural concept was thought up by Morgan Corbett for our Norton Park Elementary School mural project. It's been such a big hit, that it bears repeating.) 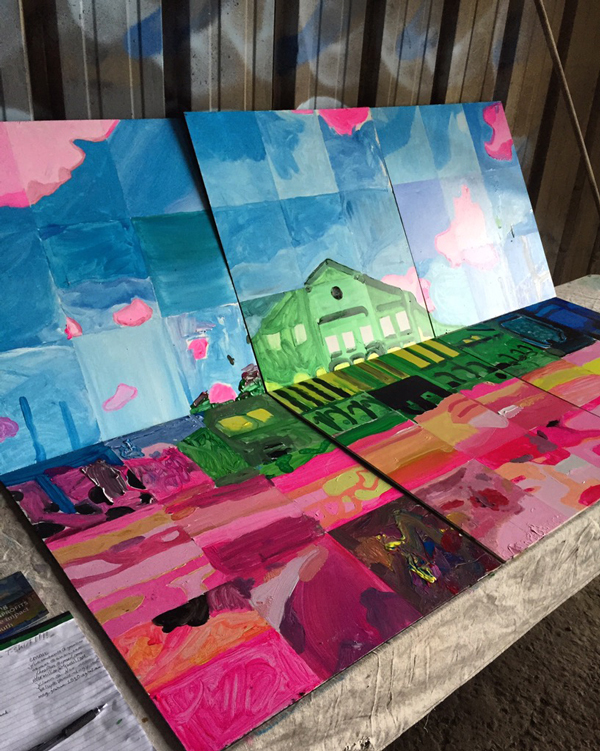 It was fun telling our story to the grown ups and painting along with the kids. There are so many talented young artists in our city! It was fun to see the kids so wrapped up in their work. The adults would hang back and talk while keeping a watchful eye. Julie, Dustin and I hovered over the table, helping where needed. The finished mural is up in Atlanta Contact Point at Druid Hills. If/When Pullman Yard is transformed, Atlanta Contact Point will probably install the mural in the new arts space. We would love to see this space transformed. It’s obvious the space is well loved by its neighbors and visitors alike.